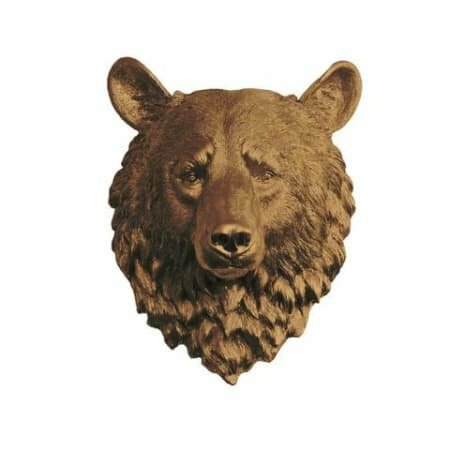 The awe-inspiring grizzly of North America is presented in stunning detail with The Large Kodiak faux taxidermy resin bear head. Our faux taxidermy is a great way to decorate your home, nursery, or child's room with nature in a chic way! Measurements: - Measurements are 18'' tall x 12'' wide x 9'' deep. - Weighs 7 lbs. Materials: - Each of our faux taxidermy pieces are cast in fine lightweight resin making the sculpture fairly light in weight.